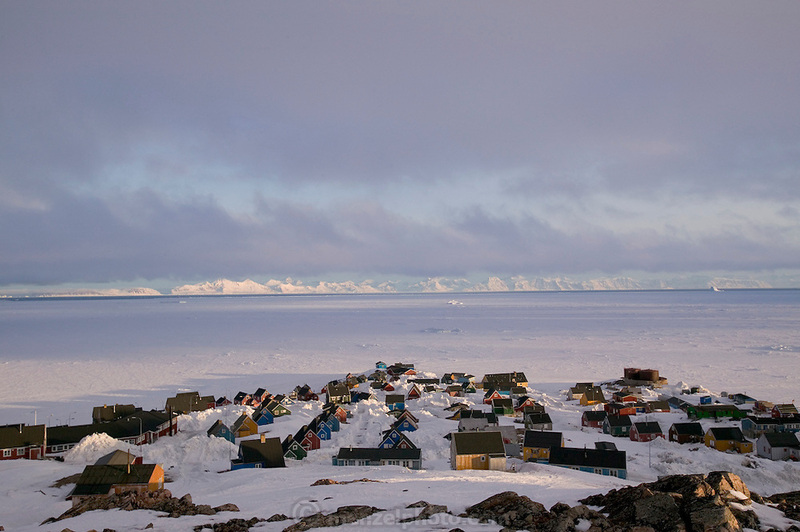 The remote village of Ittoqqortoormiit, Greenland, catches the late-night sunlight at 11 pm in May. Because of its location near the Arctic circle, the sun never actually disappears below the horizon during the summer, although it does dip briefly behind the high hills that surround the village (population 550). In the winter the village experiences 24-hour-a-day darkness or twilight.